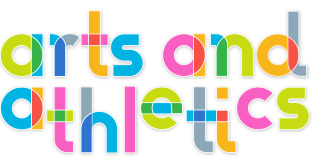 The Arts and Athletics afterschool program extends and amplifies the curriculum in our partner schools. On the level of individual activities, we provide academic support, offer extended time for children to pursue interests discovered during the school day, or, quite often, expose children to activities like fencing, cooking, and inline skating that aren’t explored during the regular school day. On another level, the program cultivates family involvement. Working parents who can’t pick up at 3 p.m. each day are able to pick up at 5:40 p.m. In this sense, we host “back to school night” every single day. This is actually a really big deal. Parents can get a fresh account of their child’s school day was and they can meet and speak with other parents that they would never see otherwise. While our first aim is to offer really great classes with wonderful teachers, we know the importance of promoting a sense a community, the feeling that families are at home in their school.